This favorite classic silk shell is styled in a gem-like silk twill that has a rich, elegant glow. This easy, versatile blouse will stand out on any occasion, will go a long way with many different outfits, and will last for a very long time. Two words describe it best — exquisite sheen. 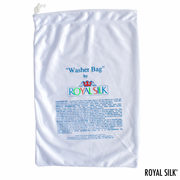 Worthy of a queen, silk twill’s sheen looks glamorous, regal, and expensive in a subtle, tasteful way. This silk is light, soft, and supple, and it features a lovely drape. Sizes XS to XXL. Hand wash or dry clean. 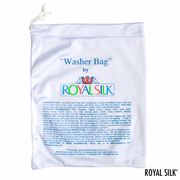 Or machine wash with our washer bag for silks, purchased separately. Imported. Select from an array of desirable silk colors.